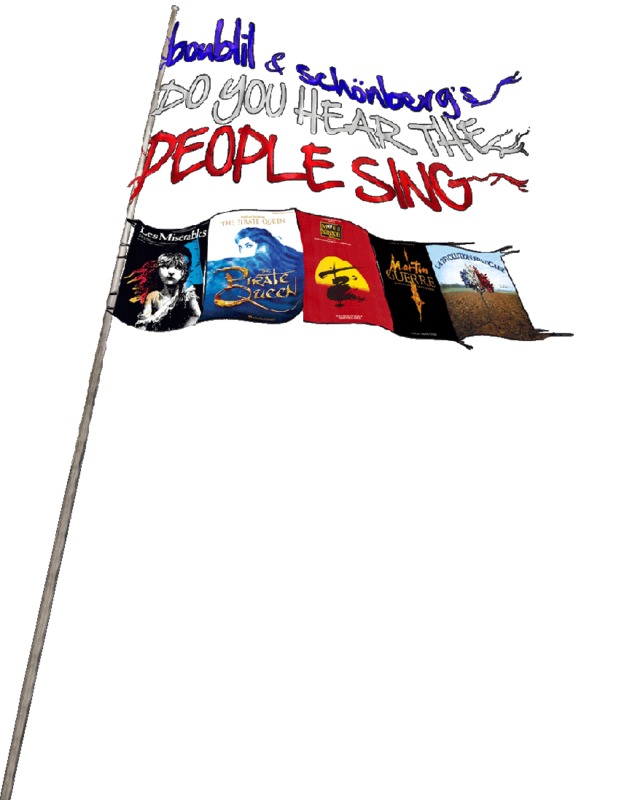 Do You Hear The People Sing – The Dream Concert premièred on 7 October 2011 at the Hilbert Circle Theatre, Indianapolis. 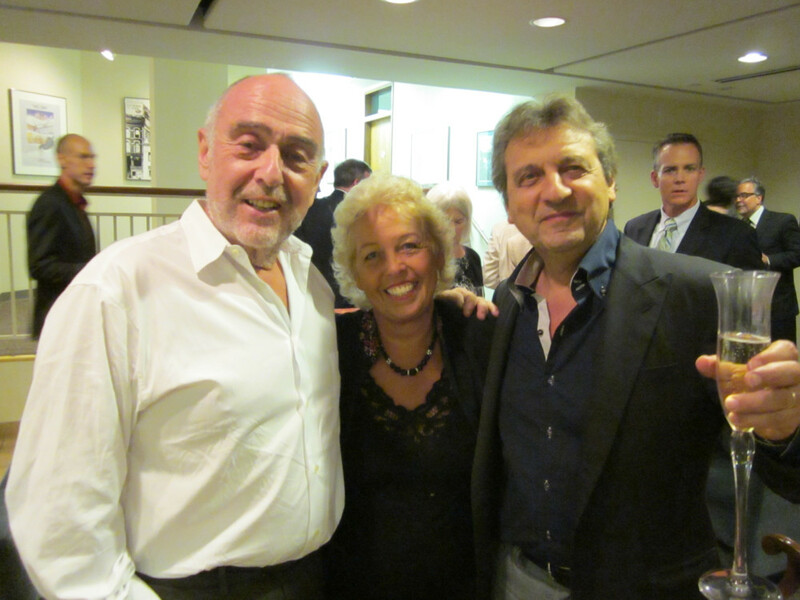 This amazing concert with the Indianapolis Symphony Orchestra and the 200 strong Indianapolis Symphonic Choir together with five of the most talented Broadway performers was a true celebration of the lives and work of Alain Boublil and Claude-Michel Schönberg. The concert featured their five collaborations with well known songs from Miss Saigon and Les Misérables, as well as favourites from Martin Guerre, The Pirate Queen and one song from their very first musical La Revolution Franςaise. This star-studded cast of Boublil and Schönberg stalwarts included Lea Salonga, who created the role of Kim in Miss Saigon and played both Eponine and Fantine on Broadway, Stephanie J. 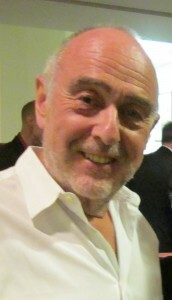 Block, who created the role of Grace O’Malley in The Pirate Queen, Marie Zamora, who played the original Cossette in the Paris theatrical production of Les Misérables, Peter Lockyer, who played Chris in Miss Saigon and Marius in Les Misérables, both on Broadway, and Terrence Mann, who played Javert on Broadway. The soaring sweep of Claude-Michel’s music has always lent itself so well to big orchestral arrangements and the 80 piece Indianapolis Symphony Orchestra did it more than justice. The concert overture quite simply blew me away as it moved with brief musical phrases of songs from one show after another. 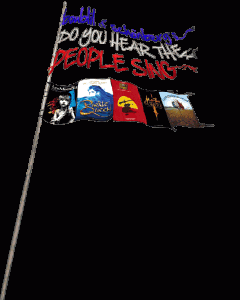 No sooner had you identified ‘I Dreamed A Dream’ it became ‘Do You Hear The People Sing’, then ‘Bring Him Home’, ‘Martin Guerre’, ‘The Heat Is On In Saigon’, ‘At The End of The Day’, ‘Why God Why?’ and so on. It was a breathtaking display of thrilling musicality, interweaving slow lyrical ballads with fast-paced dramatic rhythms that really whetted the appetite for the concert to come. We first heard a good selection of songs from Miss Saigon starting with the choir and Terrence singing ‘Bui Doi’, and ‘The Heat is On’. Lea sang a heartfelt rendition of ‘I’d Give My Life For You’ and was then joined by Peter for the lovely, romantic duet ‘The Last Night Of The World’. This was followed by ‘Now That I’ve Seen Her’ and with Stephanie’s powerful, emotive voice it was extraordinarily moving. I was personally very pleased to hear again the beautiful, original opening lines: ‘There are days when your life clouds over’, which had disappointingly been changed in later productions. 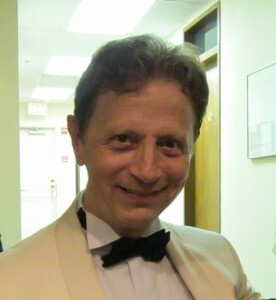 In between the songs and throughout the concert there was a lively and humorous conversational interaction between conductor Jack Everly and the vocalist on stage. This gave background information on the writing of each show and the raison d’être for each song and that character’s emotions so that even if you were not familiar with one particular show you would have a real feel for the story. There were also amusing individual anecdotes from each performer and these dialogues between the songs gave the concert a very personal feel that totally engaged the audience. The Miss Saigon section ended with Terrence as a sleazy Engineer inciting the audience to much laughter with his comic antics in ‘The American Dream’. We next heard a song from La Revolution Franςaise, ‘Au Petit Matin’ (A Little Morning), which Marie Antoinette sings after she has been told she is to face the guillotine. Marie Zamora’s gorgeous, soulful voice together with Claude-Michel’s haunting music made it easy to be filled with emotion without even understanding the words. Peter then mesmerised us with a powerful rendition of ‘Martin Guerre’ before dueting with Marie for ‘Live With Somebody You Love’. This was sung so tenderly it gave me goose bumps and was possibly my favourite song of the evening. ‘Land of Our Fathers’ sung stirringly by all the vocalists concluded the Martin Guerre section. Before the Intermission we heard songs that had been ‘reinvented, rearranged or removed’. ‘I Saw Him Once’, sung by Marie, was originally Cosette’s song but had to be taken out because the show had been running too long at over three and a half hours. It seems a shame to have lost such a beautiful song as was also the case for Lea’s next song ‘Too Much For One Heart’, which was felt to be one ballad too many for Kim. 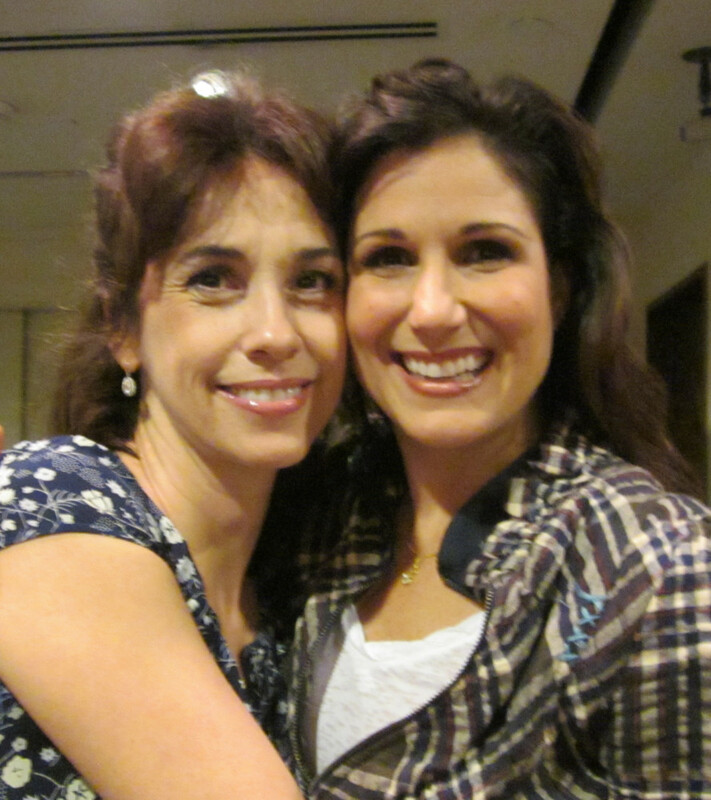 The final song was a camped up ‘Glee’ version of ‘I Dreamed A Dream’ sung as a duet by Stephanie and Lea. Although highly entertaining and well sung it was, for me, probably the only disappointment of the evening. The audience, however, could not wait until the end of the concert to show their admiration and did so with loud cheering and a standing ovation before they even left for their interval drinks! The Entr’Acte featured the distinctive music from The Pirate Queen but sounded somewhat different played by a big orchestra instead of the unique sound of an eleven piece Irish Band that played in the Broadway show. Stephanie began this section with ‘Woman’, a song which expresses her character’s frustration at the limitations imposed on women in 16th Century Ireland. Her powerfully distinctive voice brought the story to life and gained the loudest applause of the evening for an individual song. She was joined by Peter for the beautiful, tentative ballad ‘If I Said I Loved You’ which then morphed into the final lines of the ‘Finale’: ‘May God bless the bride and groom’ and so revealed the only happy ending in a Boublil and Schönberg musical. This sadly brought The Pirate Queen section to an end. The familiar booming chords of Les Misérables sounded amazing played by this symphonic orchestra and introduced the last part of the concert – the one everyone had been waiting for. ‘On My Own’ was the first song up and given a delightful novel twist as it was sung as a classy duet by Marie and Lea. Marie began with the original French version ‘Mon Histoire’ before Lea took up the more familiar English lines, harmonizing together in both languages for the final lines of the song. What a sensational, unique version! I find it rather a fascinating little repeat of history that although there were snippets of background to the writing of Les Misérables in the concert there was no need to ‘place’ the songs within the story because everyone knows it, in the same way that in the original French version at the Palais de Sports there was no need to tell the whole story because everyone in France knew Hugo’s novel. All the cast and choir then joined together for ‘The End Of The Day’. With the vocalists taking individual lines of the factory workers and the foreman they directed their comments to one front row member of the audience who had unwittingly been cast as Fantine! We then moved on to a brilliantly staged and hilariously funny version of ‘Master Of The House’. Terrence magically produced an apron from within his white shirt whilst Stephanie made an unusually seductive Madame Thénardier as they played this always crowd-pleasing song with much naughtiness and mischief. Next was ‘In My Life’ with Marie and Peter as the young lovers and Lea as the lovelorn outsider Eponine. This song merged into ‘A Heart Full Of Love’ and was followed by Terrence singing ‘Stars’ and Peter’s ‘Bring Him Home’, always two of the most memorable songs and superbly sung with great feeling. Both cast and choir joined together for a resounding rendition of ‘One Day More’. This appeared to conclude the concert with the audience springing to their feet with rapturous applause and loud cheering and even more delighted with the appearance on stage of Alain and Claude-Michel themselves. They were toasted with champagne and thanked on our behalf by Jack Everly before the opening chords of ‘Do You Hear The People Sing?’ The audience were seated again to enjoy this one last song with Alain and Claude-Michel joining in before final bows were taken and one last standing ovation. This was the first concert of the series and it will probably evolve in time with maybe some different song choices. The distinctive emotional quality of Claude-Michel’s music together with the calibre of these talented performers ensured that each number was not just a song but an exciting piece of drama. It was absolutely thrilling to hear the music and songs from all their shows together on one evening. The clever juxtaposition of songs and shows clearly demonstrated what an astonishing body of work Alain and Claude-Michel have created in their long partnership as the most successful musical theatre writing team in the world. For further concert dates see News August 2011.